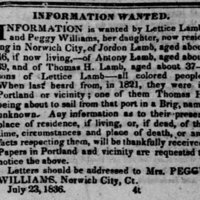 Lettice Lamb and her daughter, Peggy, of Norwich, Connecticut, searching for Lettice's sons. They were last heard from in 1821, in or near Portland, Maine. An antebellum ad. 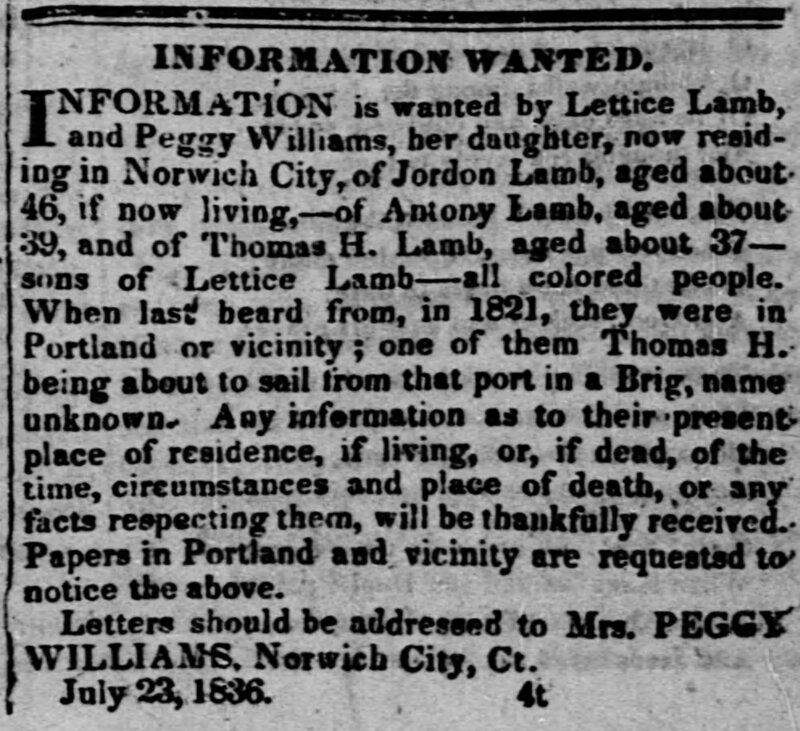 “Lettice Lamb and Peggy Williams searching for Peggy's brothers,” Information Wanted Ad, Liberator (Boston, MA), July 23, 1836, Last Seen: Finding Family After Slavery, accessed April 19, 2019, http://informationwanted.org/items/show/3300.